Update July 28, 2017: Call of Duty: Modern Warfare Remastered is finally out as a standalone game on PC. If you’ve been thinking about picking it up when it’s unshackled from Infinite Warfare, now’s the time – the game went live on Steam yesterday. Check our list of the best war games for more shootybangs. It’s worth noting that the shooter has been hammered with negative reviews since launch, and they’re not even about the fact you have to buy the extra maps separately – many are citing performance woes. It might be a good idea to hold off a little longer if you’re concerned. 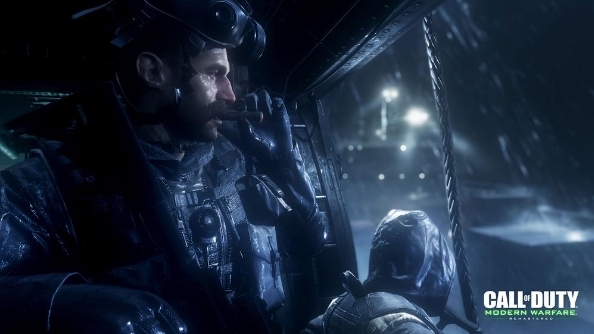 Original Story June 26, 2017: Activision said it wasn’t happening, but guess what – Modern Warfare Remastered is coming out on its own, meaning you won’t have to buy an expensive edition of COD: Infinite Warfare just to play it. The trailer gives a PS4 release date of June 27, though it’s noted that other platforms will release at a later date. It’s probably a similar deal to the timed exclusive map packs – it’s usually about a month difference. Modern Warfare Remastered features updated graphics, effects, and audio. It’s one of the better quality remasters I’ve played. Either way, when it does come out it’ll be $40. While the bundled version of the game came with a bunch of extra content, this standalone version will ship with the single-player and 16 base multiplayer maps. If you want the DLC maps you’ll have to pay more. Have a watch of the launch trailer above.